Now why would anybody intentionally do that, really? The truth is, there are actually a number of reasons why we would, or should. But before we go to the whys behind such a stunt, let’s have a look at the diagram below. Yes, this is a bingo alright—J9:OUTAGES (67) or 11I:GASEOUS (80). But look again. The bingo (either one, it doesn’t matter) while not being a bad move itself, will deplete the last blank not only from the rack, but also from the game. And with what we could nakedly see from the ’tiles left’, chance is both players will be playing short words for the rest of the game. And we have some ‘security issue‘ here. Either OUTAGES or GASEOUS will give the opponent a chance for a crazy bingo (by using two TWS in one move). Some people believe that a shrewd player is the kind of player who somehow manages to think about the whole board all the time. While not being that kind of a player myself (still a lover of silly mistakes), I know it for a fact that thinking deeply about everything all the time doesn’t even exist in a shrewd player’s wish list. Count on it. Apart from words arsenal or strategy (or whatever), the key is knowing where to look, and how to deal with it. Where? 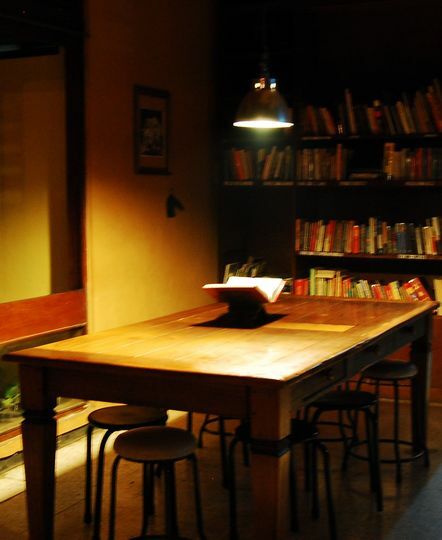 : focus on the area(s) where it matters most. How? : find a way to deal with it—with what we have on the rack. The point is: think only as much as necessary. That is: never make a habit of giving too deep a thought, for it will surely wear us out. Decision making is indeed an art: there are no exact rules. 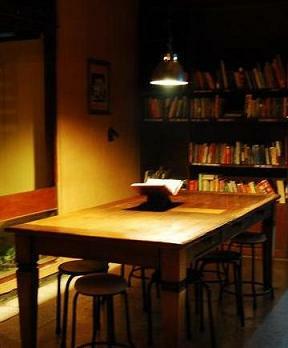 But before we decide anything of consequence, it would serve us good to know where to begin with in the first place. And a sensible start would be the sector(s) of the board where the ‘intensity of conflict’—factually or potentially, is the highest (here, they are indicated by the yellow arrows). A [German] chess term. 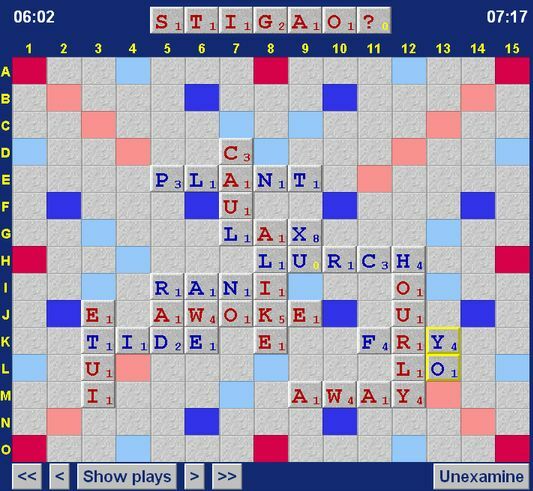 Roughly meaning, a situation where any move would put the player (who makes that move) to some serious disadvantage. Since we can’t pass in chess, it usually implies losing the game or conceding a winning one to a draw. 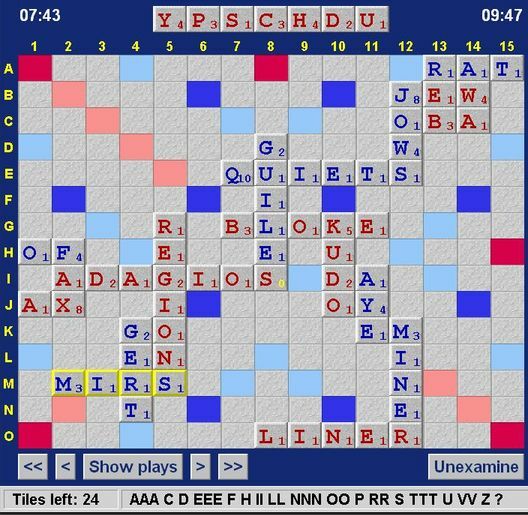 There is no zugzwang in scrabble, not really—since we can always pass if we want to here. Nevertheless, I stumbled upon some close equivalent to it a couple of days ago. Another bingo test. Check again: an open board and a balanced rack (with an S and a blank). Chance is, there’s got to be a bingo. Find one (max: 1 minute). A blunder is a grave mistake. In sports or in games, it usually refers to an action or a decision that turns a foreseeable win into an irrecoverable loss. 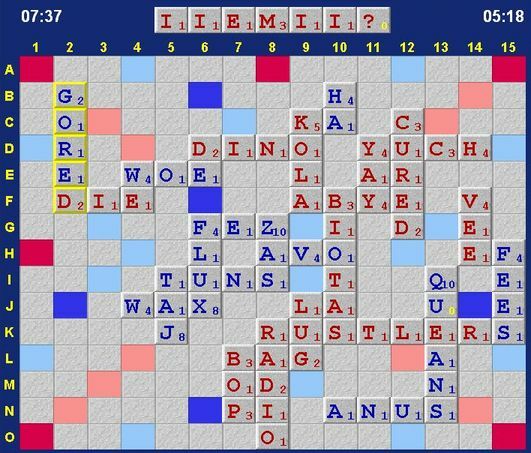 Just like in ‘bridge’ (a card game), in scrabble we could sometimes have a trump card. And as with any other trumps, we just need to play it right. Now what are you going to do, if you have a rack and a board like this? Holding the last Y, I made M10: PUNCH. Then my last Y became a trump card since it was the only letter that could ‘back-hook’ punch (PUNCHY)—reaching the upper or lower TWS. There was still one wildcard (blank) somewhere (either in the bag or already on Blue’s rack), but this was worth the risk (and it just so happened that my next move was 15L: DYNE). 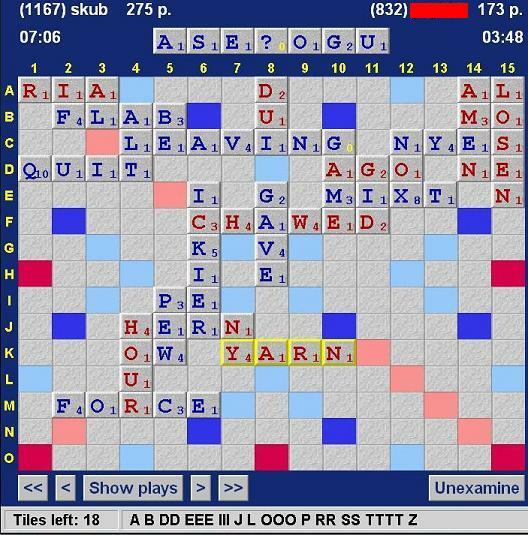 There are things in scrabble—however legal, that we’d rather not do. Here are two of them, both involving giving the opponent unnecessary scoring boost. Red had just moved 8K: LUAU. This is reckless. Giving a TWS to your opponent like this is a big—and I mean Big, no-no. Just check out what Blue had got on the rack. 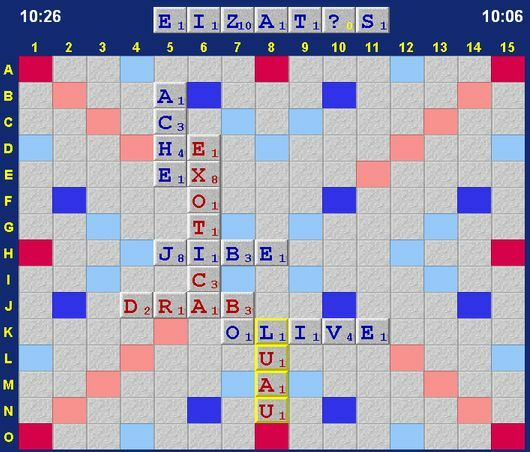 With O4: ZETAS, Blue would kick an easy 87 pointer. Without throwing a blank, and it’s not even a bingo(!). Scoring and keeping in touch with the dynamics of the board is important. But there are times when the only sensible thing to do is to make an exchange. 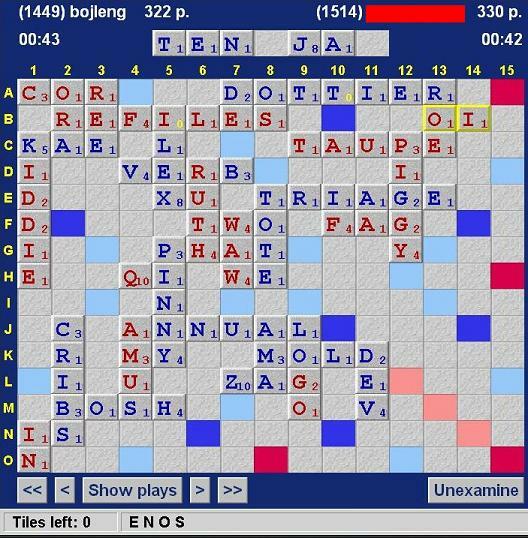 Look at the board (row-A in particular), and the tiles on the rack. The best time to spot (that is, to detect) a hotspot is the very moment it comes into existence. Then make a good use of it right away (if there are no clearly better alternatives, of course). 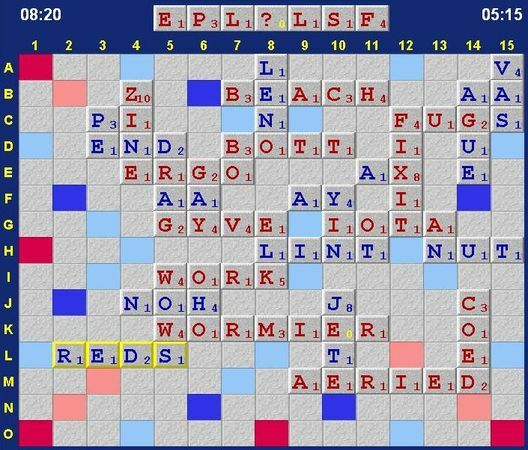 The game has just started, and already Red has been very kind to Blue with his first move. The square (spot) right under the second O is very hot(!). Squeeze and sneak it in!